FREETOWN, Dic 01 (IPS) - The outbreak of the deadly Ebola epidemic in Sierra Leone has dwarfed the campaign against HIV/AIDS, to the extent that patients no longer go to hospitals and treatment centres out of fear of contracting the Ebola virus. 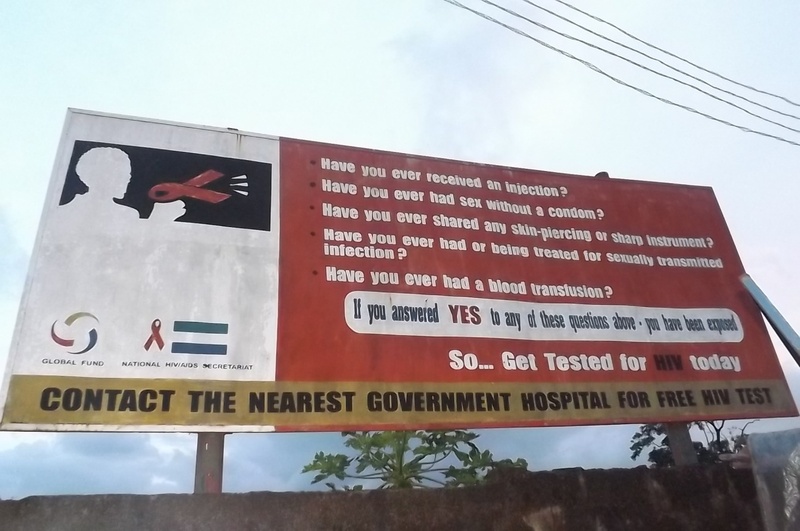 Sierra Leone records one of the lowest HIV/AIDS prevalence rates in the West African region. For over five years, the country has managed to stabilise the figures at 1.5 percent, out of a population of 6 million, mainly because of massive countrywide awareness raising. The authorities also offer free medicines and treatment to people living with HIV/AIDS. But all this may be reversed if the Ebola crisis is not contained soon. Before the outbreak of the Ebola crisis in Sierra Leone in April, one key area of success in the fight against HIV/AIDS had been in curtailing mother-to-child transmission. Today, however, there are concerns that it may surge again because pregnant women are now reluctant to go to hospitals for treatment. In 2004, the prevalence rate among pregnant women was 4.9 percent but, just before the Ebola in April this year, the figure had dropped to 3.2 percent. According to Koroma, "between January and now, that service has dropped by 80 percent. We are worried that the Ebola crisis may worsen the situation." From the point of view of those already living with HIV/AIDS, this is already happening. Idrissa Songo, Executive Director of the Network of HIV Positives in Sierra Leone (NETHIPS) advocacy group, says that its members fear going to hospitals for care and treatment and that they are constrained by what he described as a cut in the support they were receiving from donors and humanitarian organisations before the outbreak of Ebola. "Donors and other philanthropists have turned their attention away from the fight against HIV/AIDS," he said. "Now it's all about Ebola. Most organisations have diverted their funding to the fight against Ebola and this is badly affecting our activities." Songo added that the core activities of NETHIPS, which include community awareness raising and training of members in care and prevention, have all come to a standstill because of the government's ban on all public gatherings following the Ebola outbreak. Given the current crisis, the National Aids Secretariat and the Ministry of Health have set up telephone hotlines to connect with people suffering from HIV/AIDS. The aim is to be able to trace and locate them and then get treatment to them. At the same time, HIV/AIDS patients are now receiving a quarterly supply of the drugs they need, compared with the monthly dosage they were receiving before Ebola struck. According to Songo, these measures are working because "that way, our members, who fear going to hospitals and treatment centres, can stay at home and take their medication. We know it is risky to go to treatment centres nowadays because of the possibility of contracting Ebola, another killer disease," Songo told IPS. Notwithstanding the Ebola crisis, Ministry of Health officials say that they have not lost sight of the fight against HIV/AIDS. Jonathan Abass Kamara, Public Relations Officer at the Ministry of Health, told IPS that attention is still focused on the fight against HIV/AIDS. "Even though Ebola has taken centre-stage, the Ministry is still very much focused on the fight against HIV/AIDS. We supply drugs to patients regularly and we try our best to give care and attention to them," Kamara told IPS. However, while Sierra Leone has made tremendous progress in the fight against HIV/AIDS and its success in this fight surpasses that of almost all countries in the West Africa region, it may well find it difficult to maintain its achievements in this sector if the Ebola epidemic is not brought under control.